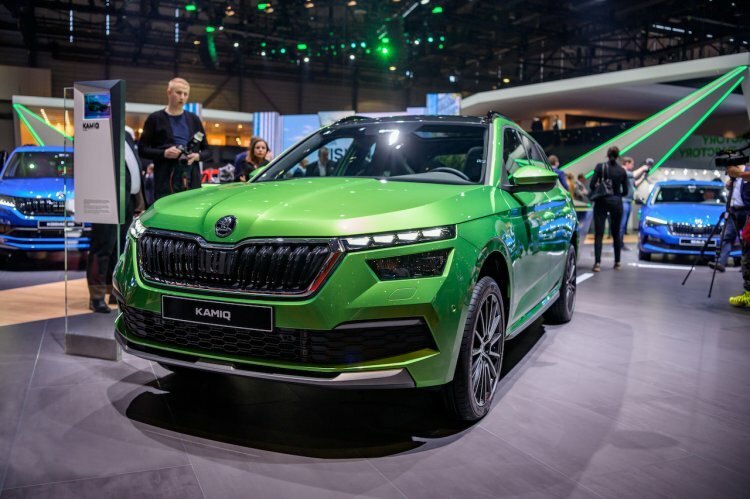 The MQB A0 Skoda Kamiq has made its world debut at the 2019 Geneva Motor Show. Here are its live images from the event. The Kamiq name originates from the language of the Inuit people living in northern Canada and Greenland. It means something that sits perfectly. The EU-spec Skoda Kamiq is a completely different animal compared to the Chinese SUV we saw last year. With the European model, the Czech automaker has “rigorously advanced” its SUV design language, says Oliver Stefani, Head of ŠKODA Design. The EU-spec Kamiq is the first Skoda to feature split LED headlights with daytime running lights that (in the full-LED version) appear like four gemstones above the main headlights. While the Scala has dynamic indicators only at the rear, this SUV features them even at the front. While the split headlamps show off the SUV’s trendy nature, the familiar design of the wide grille with double slats and the wide air intake lets onlookers know it’s undoubtedly a Skoda. A rugged underbody spoiler emphasises its off-road character. Looked from the sides, the low and flat betline isn’t the most appealing aspect of the SUV, as it gives it a soft, car-like appearance. The rear-end is very masculine, and arguably the most SUV-like angle of all. The interplay of the concave tailgate with straight lines and the rakish back glass make it very interesting. The L-shaped LED lights form the brand-typical C-shape when seen with the light reflectors below. In the lowermost portion, a diffuser underscores the powerful appeal of the SUV. The interior of the EU-spec Skoda Kamiq is a straight lift from the Skoda Scala. Key features include 10.25-inch Virtual Cockpit, Amundsen infotainment system with a free-standing 9.2-inch touchscreen, Suedia microfiber seat upholstery, heated seats (front and rear), steering wheel and windscreen, ambient lighting (white, red & copper) and 405-watt, 10-speaker Skoda sound system. Like the Skoda Scala, the EU-spec Skoda Kamiq sits on the MQB A0 platform. It is 4,241 mm long, 1,793 mm wide and 1,531 mm high. Its wheelbase spans a length of 2,651 mm. The boot capacity is 400 litres, expandable to 1,395 litres on folding down the rear seats. Moreover, it is also possible to fold down the front passenger’s seat back for making room for longer items up to 2,447 mm. An all-wheel drive system isn’t available, and so, the power is directed to solely the front wheels in all cases. Skoda will sell the MQB A0 Kamiq with five engine options and three transmission choices, in only FWD drivetrain layout. 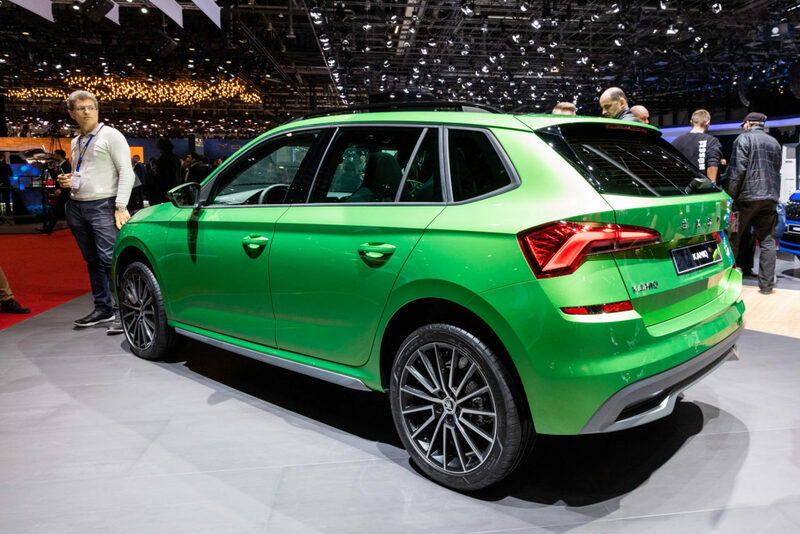 The MQB A0 IN Skoda SUV arriving in India in 2020 will have some similarity to the MQB Skoda Kamiq, but it will look tougher and have a higher ride height.